The extremely popular Summit Racing Equipment Pro-Am Tour has long been heralded as the cornerstone of the International Hot Rod Association’s (IHRA) sportsman drag racing series. The IHRA and Summit Racing Equipment will continue the industry leading sportsman coverage in 2016 by broadcasting the Summit Pro-Am Tour events live on IHRA.com. IHRA.com and MotorMania TV will broadcast this incredible program, showcasing IHRA’s premier sportsman series, live throughout the season. This program continues due to the unwavering support of IHRA sportsman racers from Summit Racing Equipment and the Summit Pro-Am Tour host tracks. Racers and fans will continue to enjoy professional broadcasts, including multiple camera views, and pass by pass reporting at each race during the 2016 Summit Racing Equipment Pro-Am Tour season. IHRA’s Summit Pro-Am Tour will be broadcast live throughout 2016 – from the season-opener at Immokalee Regional Raceway this weekend through the Summit Racing Equipment World Finals at Memphis International Raceway in October. Results and championship showdowns from all six divisions spanning 12 states and three Canadian provinces will air on the IHRA website. 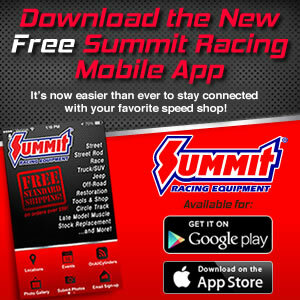 For more information on the 2016 Summit Racing Equipment Pro-Am Tour and the live season-long coverage, visit http://www.ihra.com/pro-am-tour-home for more details.